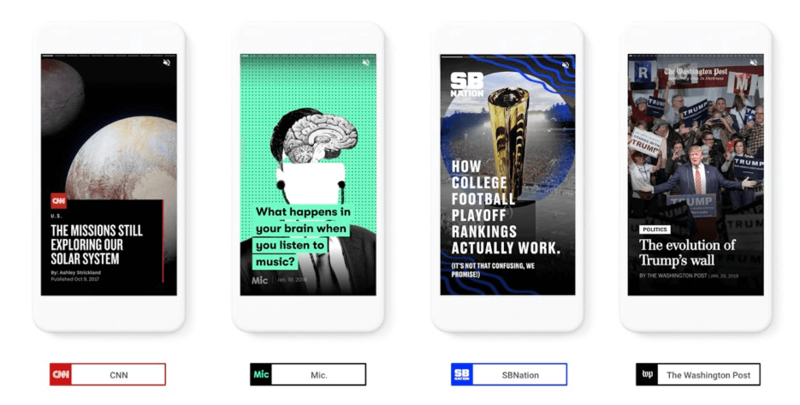 On July 17, following the introduction of AMP Stories for publishers in February, the AMP team has announced several updates to AMP Stories, including monetization capabilities. Version 1.0 of AMP Stories is now available to all developers, no whitelisting needed. AMP stories are standalone compilations of pages with AMP and HTML layers of elements such as media, analytics, text and more. AMP stories provide publishers with rich media storytelling options that are meant for mobile web. A new beta that uses DoubleClick for Publishers (soon to be called Google Ad Manager) is now available to publishers that serve ads within AMP stories. Any publisher that is interested in the beta can let the AMP tam know Github (registration required). New metadata attributes are used to display previews of stories across the AMP Stories ecosystem, such as preview links in the book end (last page) of related stories. A list of required and optional metadata attributes can be found here. There are even new bookend capabilities that make it possible to include call-to-action links, text box and portrait and landscape-oriented cards. Jon Newmuis, the Google AMP Stories Lead Engineer, wrote in a blog that announced the release of AMP Stories v1.0 that thousands of AMP stories have been created by publishers since February. There are future AMP Stories efforts in development that includes paywalls, responsive scaling and additional clickable elements. Newmuis posted a mockup of how the paywall functionality might work on Github, shown below. Paywall and subscription functionality is already supported in standard AMP-enabled pages.